New Zealand’s leading marine systems and products distributor, Lusty and Blundell Ltd, is to distribute the world-acclaimed, New Zealand designed and manufactured Vesper Marine AIS (Automatic Identification System). Founded by Deirdre Schleigh and Jeff Robbins, Vesper Marine AIS is a multi-award winning system that was most famously used to create the digital spectator boat boundaries in both the 2013 and 2017 America’s Cup regattas. 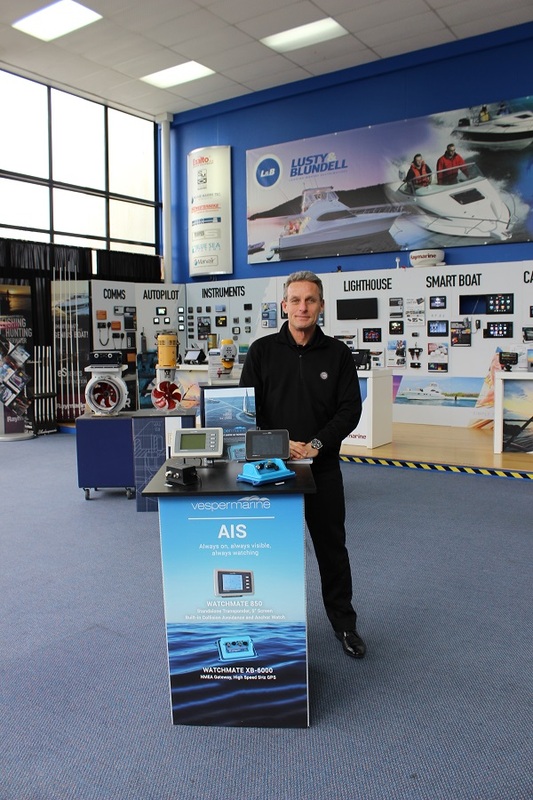 L&B product manager Bob Fassio believes Vesper Marine AIS will quickly prove very popular with Kiwi boat owners. “It is easy to see why Vesper Marine AIS has won so many international awards,” he says. “The difference is Vesper Marine’s unique smartAIS. Unlike an ordinary AIS, which only sends and receives data, smartAIS is an active system with smart logic. It proactively alerts you when there are potential collision situations, it plots the anchor position and alerts you if your anchor drags and even continuously watches for a man overboard situation and can trigger an alarm if one occurs. Bob Fassio says Vesper Marine AIS is suitable for all sizes and types of boats. “It is a great safety aid, especially for those boating in busy areas, and for those concerned about the risks of an anchor dragging or someone falling off the boat. With an increasing number of Aids to Navigation (such as channel markers and navigation buoys) now being fitted with AIS, Vesper Marine AIS can also be a huge help at night or in low visibility conditions, such as sea fog. The multiple international award winning Vesper Marine AIS is now available nationwide from Lusty and Blundell’s network of leading marine dealers.